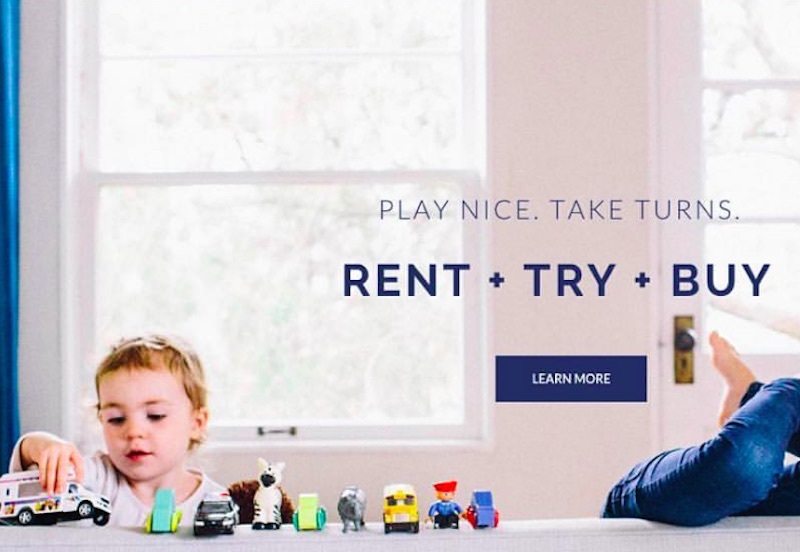 For all the mamas and daddies out there who bought a bunch of baby gear that your tot never used or quickly outgrew, a new online service has your back. At Expectantly, you pick a product, choose to use it for one, three, or six months, and then either return it or buy it forever. This “sharing is the new owning” model is genius because it allows you to try out strollers, travel cribs, ride-on toys, even baby food makers to see if you like these products or if they make sense for your family. Babies grow as fast as lightening so what they need one month (such as a cozy bassinet by your bedside), they don’t the next. So renting the baby gear during those early months and years instead of buying it frees up space in your home and is lighter on your wallet (and Mother Earth). If you do love the product and want to keep it forever, perhaps for baby #2, you can buy it and use your previous payments toward the total cost. Expectantly’s design is already eco-friendly since it encourages parents to carefully consider what they need instead of buying an abundance of baby goods — and they have also paired up with charities like Baby2Baby to donate some of the items that have been well-loved but not ultimately purchased. Expectantly carefully selects its limited collection after verifying that each product meets the highest safety, design, and innovation standards. The service is only in the Bay Area at the moment, but we know this idea is going to catch on quickly, so look out for a local version near you. For all the mamas and daddies out there who bought a bunch of baby gear that your tot never used or quickly outgrew, a new online service has your back. At�Expectantly, you pick a product, choose to use it for one, three, or six months, and then either return it or buy it forever. This "sharing is the new owning" model is genius because it allows you to try out strollers, travel cribs, ride-on toys, even baby food makers to see if you like these products or if they make sense for your family. Babies grow as fast as lightening so what they need one month (such as a cozy bassinet by your bedside), they don't the next. So renting the baby gear during those early months and years instead of buying it frees up space in your home and is lighter on your wallet (and Mother Earth). If you do love the product and want to keep it forever, perhaps for baby #2, you can buy it and use your previous payments toward the total cost. Expectantly's design is already eco-friendly since it encourages parents to carefully consider what they need instead of buying an abundance of baby goods -- and they have also paired up with charities like Baby2Baby to donate some of the items that have been well-loved but not ultimately purchased. Expectantly carefully selects its limited collection after verifying that each product meets the highest safety, design, and innovation standards. The service is only in the Bay Area at the moment, but we know this idea is going to catch on quickly, so look out for a local version near you.